Here’s a great texture mash-up for the edgy fashionista. Sleek hair crescendos into large voluminous waves and curls for a runway-worthy hairstyle. Comb hair smooth back away from face. 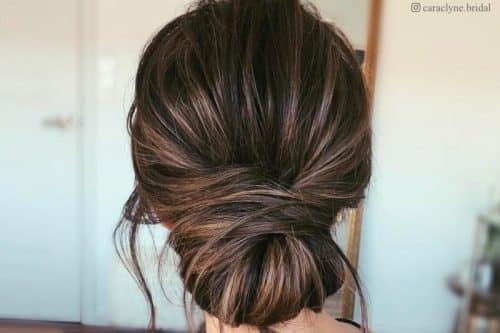 Gather a portion into a low ponytail leaving remaining hair down. Take one to two-inch strands of hair and wrap them loosely around a large barrel curling iron. Allow hair to cool, then backcomb the base of the curls, leaving the ends smooth with a slightly deconstructed feel. Try Kevin Murphy TEXTURE.MASTER Leave-In for massive texture and volume. Add a pretty hair bow at the back above your curls. Take the trendy crown braid to the next level with super crimped texture. Add bold extensions for an eye-catching look. Sweep the fringe over to one side, keeping the texture smooth. Take remaining hair and backcomb the interior for volume, keeping the surface layers smooth. Twist and pin any remaining length under at the nape area. 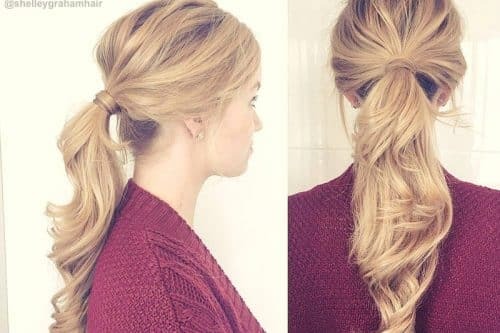 Use some hair extensions for the braid. Start by crimping the hair, then brushing through for fullness. Create your braid and secure with a small rubber band or hair tie. Place your braid just behind the smoothed fringe and secure in the back near the nape area. Mix some colored hair into the braid or choose a bright color for a bold look. Let your natural texture shine with this cute and modern half up half down pomp. Tease it out in style for some serious statement hair. Prep damp hair with a lightweight volumizing foam. Allow hair to air dry or use a diffuser attachment on your blow dryer. Take the fringe and crown layers and backcomb the interior. Sweep hair back into a slight pompadour. Take the sides and sweep them back as well. Secure both areas at the back of the head near the crown. Backcomb remaining hair for extra volume. This look is suitable for round, square or oval face shapes. 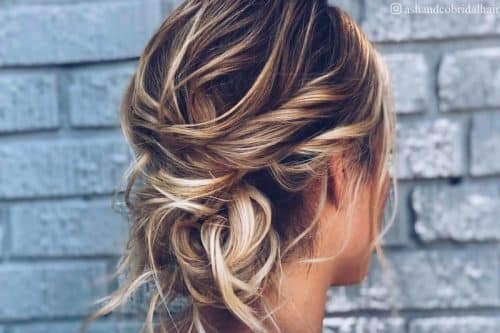 This style works best on thick hair. Gather hair into a top knot for a trendy look. Are you still sporting that shaved side thingy? Sweep that hair over to show it off with massive volume and playful texture. Prep damp hair with a lightweight leave-in creme. Blow dry hair with a paddle brush or Denman brush. 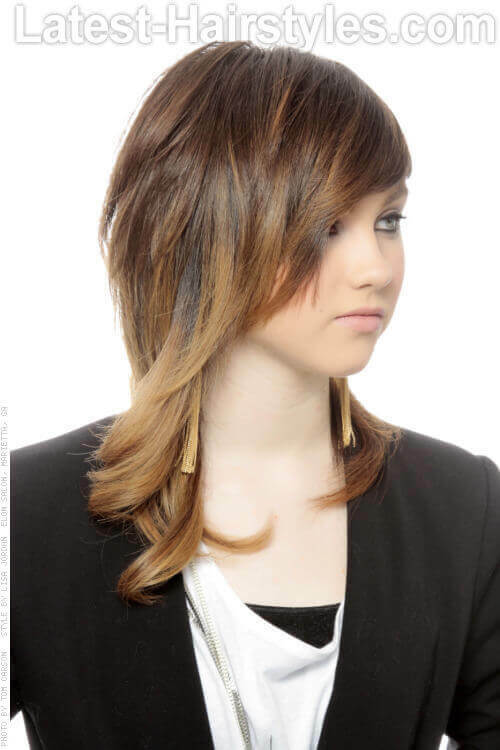 Create a deep side parting and sweep hair over to one side to reveal a side undercut. Backcomb base interior of hair for extra volume. This look is suitable for square, oval or round face shapes. 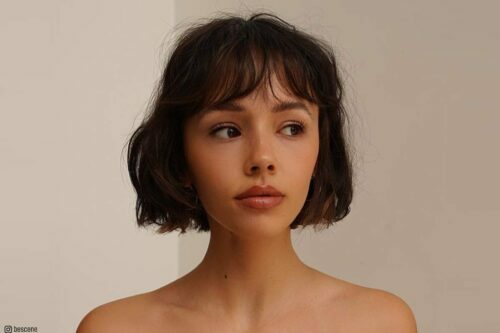 This style works best on fine to medium hair. Create finger waves for a classy, vintage look. 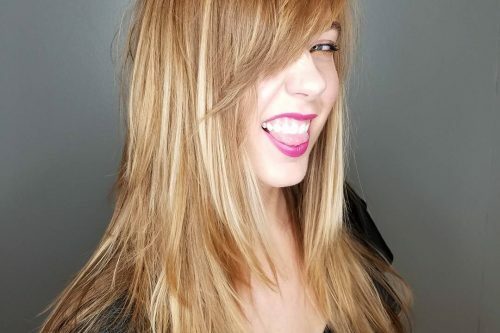 Mix up that long shag with bold pop of ombre for the funkiest of all funky hairstyles. This is a versatile look with endless styling possibilities. Prep damp hair with a light hold texturizing spray. Blow dry with a paddle brush or a Denman brush for a low volume hairstyle. Create a deep side parting and sweep hair over to one side. Keep the finish soft and natural with only lightly curled ends. This look is suitable for square, round or oval face shapes. 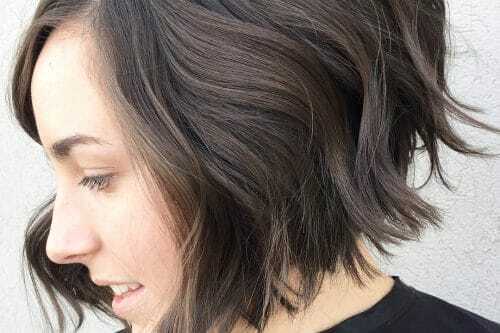 This style works best on fine to medium hair. Use clip-in extensions to achieve this look if your hair is on the shorter side. Channel your inner Elvis and love of old school tunes. This his high-styling pomp will have you rocking the night away! Blow dry hair using a small round brush or a Denman brush to create volume in the crown area. Keep the sides and back area sleek with a soft feminine finish. Use a straightening iron to shape hair in the crown area and backcomb base for extra support. This look is suitable for round, square or oval face shapes. 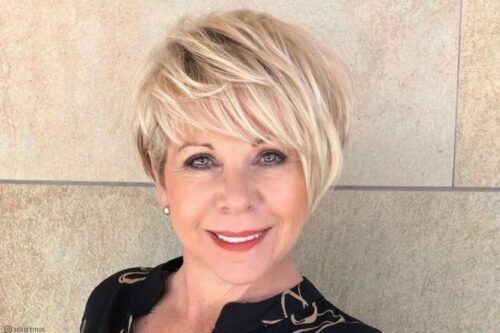 This style works best on medium to fine hair. 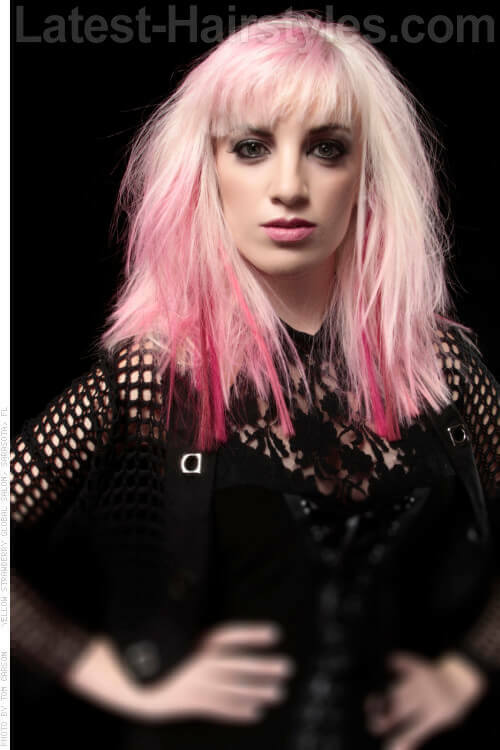 Accent with cool colored streaks using hair chalk. 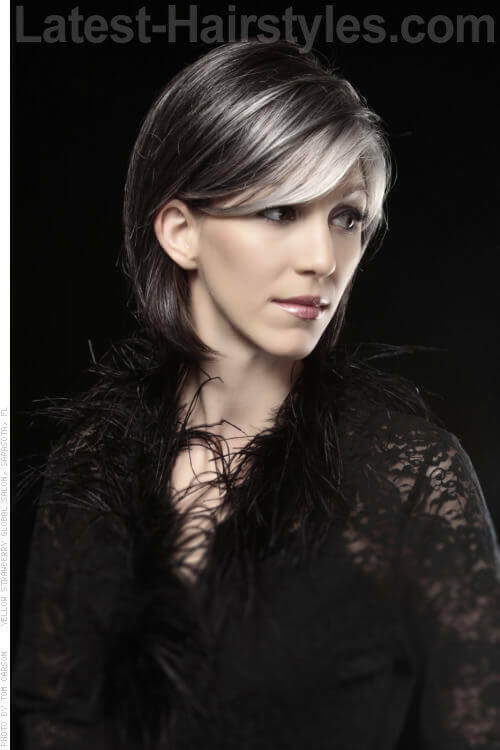 Here’s a sublime way to ‘go gray gracefully’. 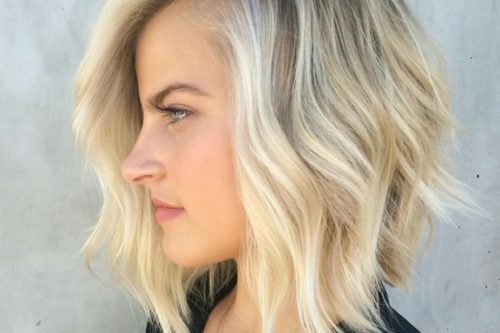 This mid-length bob shines with an array of gorgeous hues. Blow dry hair with a large round brush for smooth volume. Create a slight side parting and sweep hair over to one side. 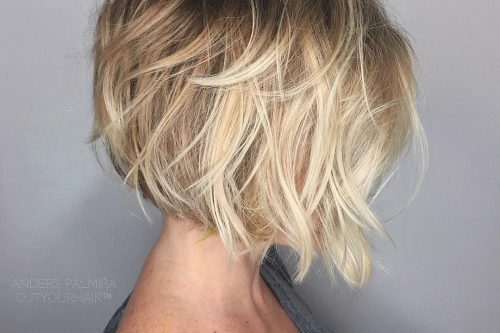 Gather ends up toward the nape and secure to create a shorter faux bob. Here’s an ethereal hairstyle for your next ‘Midsummer Night’s Dream’ garden party. A cute crystal headband ties the look together. 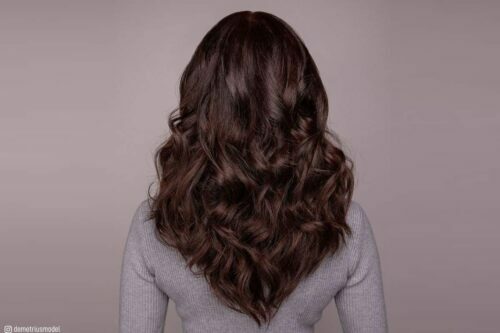 Curl hair from ends up through mid-lengths using a large barrel curling iron. Create a deep side parting with some backcombing in the base for extra volume. Separate curls by brushing through for fullness. 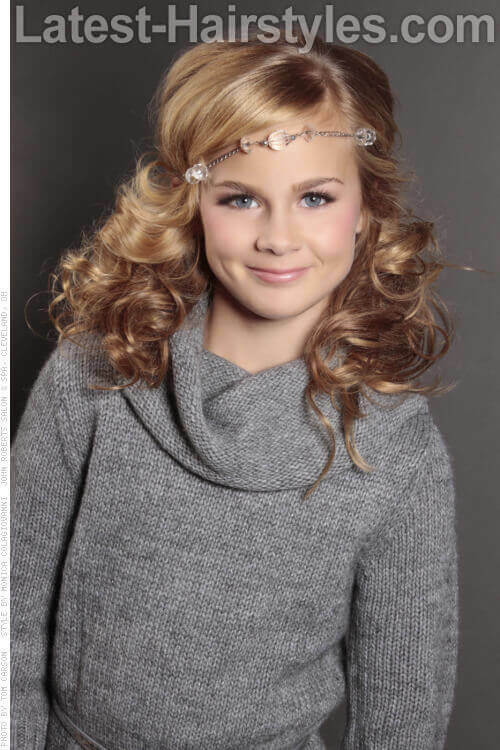 Accent with a sparkly crystal headband. Here’s a wildly fun look that mixes pirate chic with fairy pizzazz. Add a few braids to cascading waves for a magical and funky look. Prep dry hair with dry shampoo for extra body. Create a center parting. Gather one side of the crown area and create a three-strand braid. Repeat on the other side. Next, take large sections of hair and loosely wrap them around a large barrel curling iron. Brush hair out and lightly backcomb for a disheveled effect. Continue braiding across the length of the hair down to the ends. Accent your braids with some feathers or multi-colored ribbon and beads. 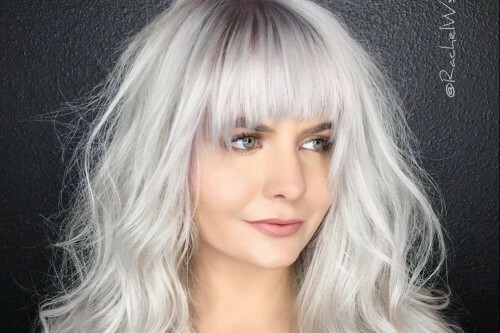 Mix up that platinum blonde with pops of pink. This great way to add some serious funk to your look. Create a slight side parting and style the fringe downward. Backcomb hair and scrunch for a deconstructed finish. Add crazy texture by crimping the ends and brushing them out. How crazy cool is your style? Show it off now with any of these funky hairstyles!